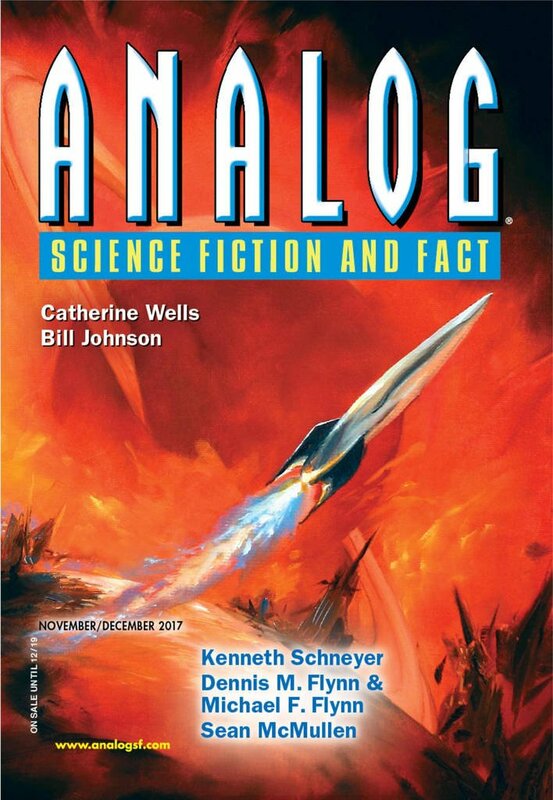 "Papoose Lake," by Richard A. Lovett [bio] (edited by Trevor Quachri), appeared in Analog Science Fiction and Fact issue 11-12|17, published on October 19, 2017 by Penny Publications. Pro: The narrator’s problem is solved; he can marry Jen and Jen and Tom can stay friends. Chillingly, the mind control that Tom feared turns out to be real. Con: The ending falls a bit flat because the author belabors the point long after we’ve gotten it.